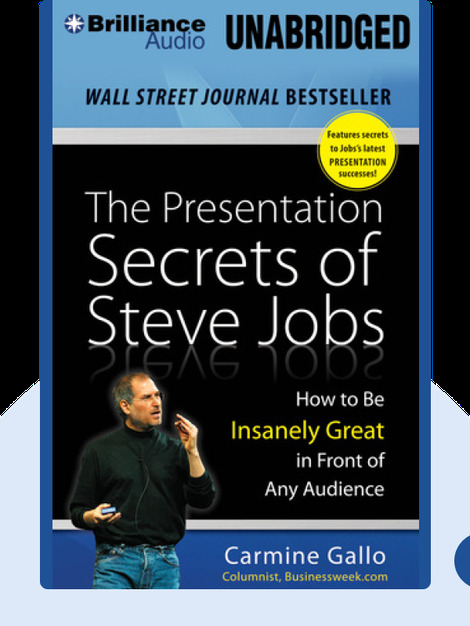 The Presentation Secrets of Steve Jobs (2009) explains how any presenter can be as convincing and inspiring as the legendary Steve Jobs. 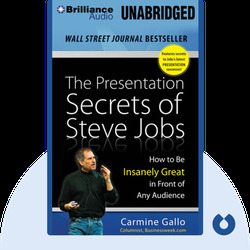 From planning to rehearsal and delivery, Carmine Gallo details the anatomy of a great presentation. Carmine Gallo is a former vice president of a major global public relations firm who coaches some of the world’s most respected brands in presentations and communications. He has appeared on CNBC, NBC, CBS, as well as in the Wall Street Journal and the New York Times.